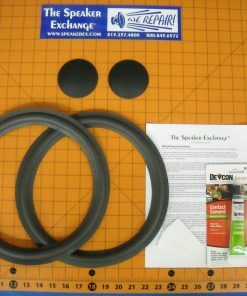 Latex, black contact, red contact and epoxy. 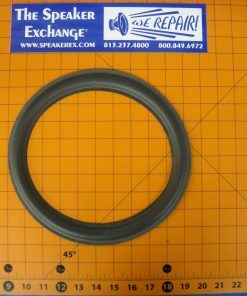 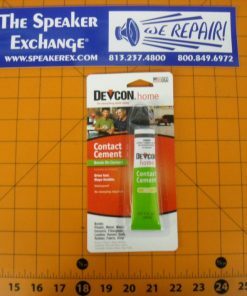 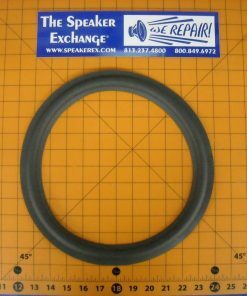 Everything you need to recone a speaker. 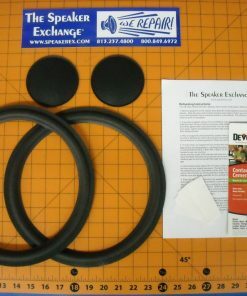 A It depends on the speaker. 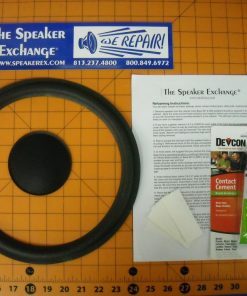 For most size and brands, one contact glue per speaker (and there are two different kinds of contact glue in this group). 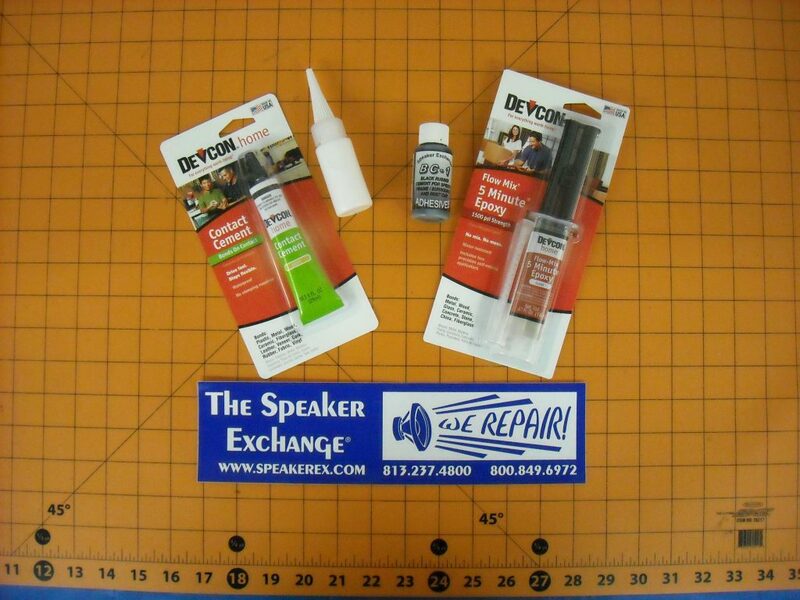 There is enough epoxy for 3-4 speakers, but you must epoxy them all at the same time or it will cure in the nozzle and make it so you cannot access the remaining 2 parts in the syringe. 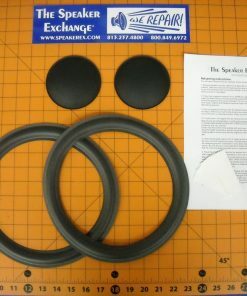 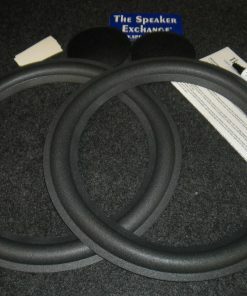 The one oz latex is good for 2-3 speakers depending on the size of the surround.